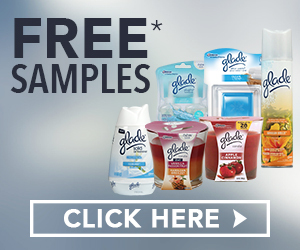 With Lifescript Advantage, you can sign up to receive free Glade samples. Glade brand odor elimination sprays come in various scents that can really uplift your mood. Limited edition and seasonal exclusives offer fun fragrances like their fall collection in Cozy Autumn Cuddle varieties. Sign up for your free samples of home fragrance spray and candles today. Glade smells real good ! !